We know it’s tasty, but it hurts your pearly whites. Everyone knows eating too much sugar can lead to tooth decay, but many aren’t exactly aware of how and why it happens. Tooth decay is caused by bacteria in your mouth that uses sugar from foods and drinks to produce acids that dissolve and do damage to your teeth. Each acid attack lasts for around 20 minutes, but the good news is– it’s avoidable. According to the American Dental Association, your mouth is full of hundreds of bacteria. 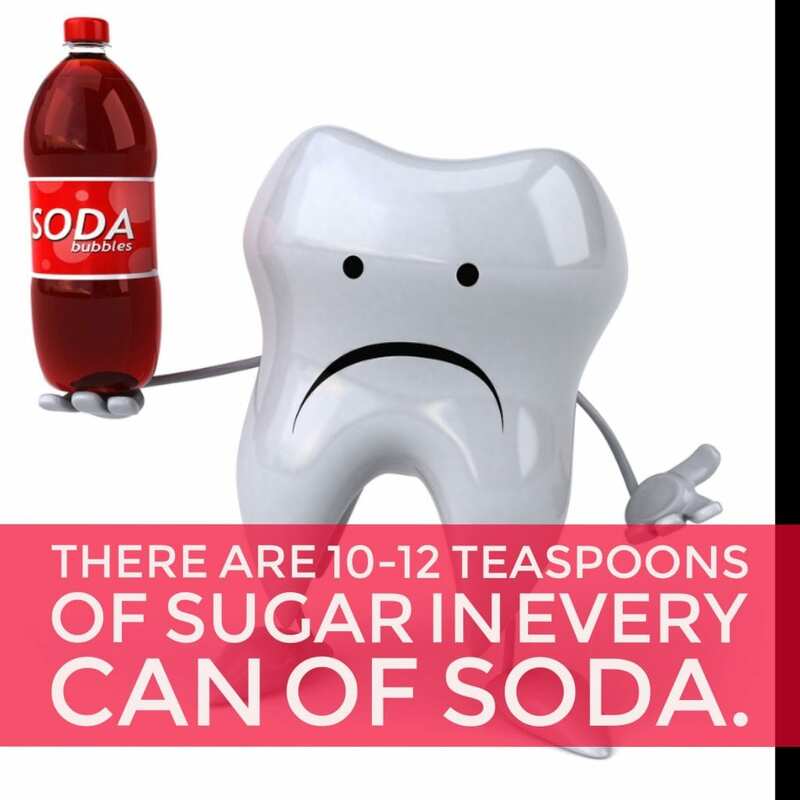 Some are helpful, but others can actually feed on the sugars you eat, and create acids that destroy your enamel. Tooth enamel is the shiny, protective outer layer of your teeth that keeps them healthy. Cavities are a bacterial infection created by acids that cause a hole in your teeth. Without proper treatment, cavities can progress past the enamel and into the deeper layers of your tooth, causing pain and even eventual tooth loss. That’s a lot of sugar for one drink! Sugary drinks, including fruit drinks, sports drinks, sweetened waters, sugary teas, energy drinks, and sodas, have been recognized as the primary source of added sugars in American diets. Sugary drinks don’t make you feel full, so you eat the same amount of food as before– but with a lot of extra sugar calories on the side. When you have a craving for one of these drinks, try choosing a healthy alternative, like water, milk, or 100% fruit juice with no added sugars. To avoid having a mouth filled with cavities, we have several tips to prevent them. Make sure it’s sugar free! In addition to cutting down on sugar, stimulating saliva flow is recommended. Chewing sugarless gum, and incorporating fruits and vegetables into your diet that are high in fiber, are great ways to accomplish this. Cheese, yogurt and other dairy products also contain calcium and phosphates that strengthen your teeth, and they’re much better choices than something high in sugar or starch. Always brush after you eat or drink something with lots of sugar. It’s important that you stay on top of your oral health by brushing and flossing twice a day. 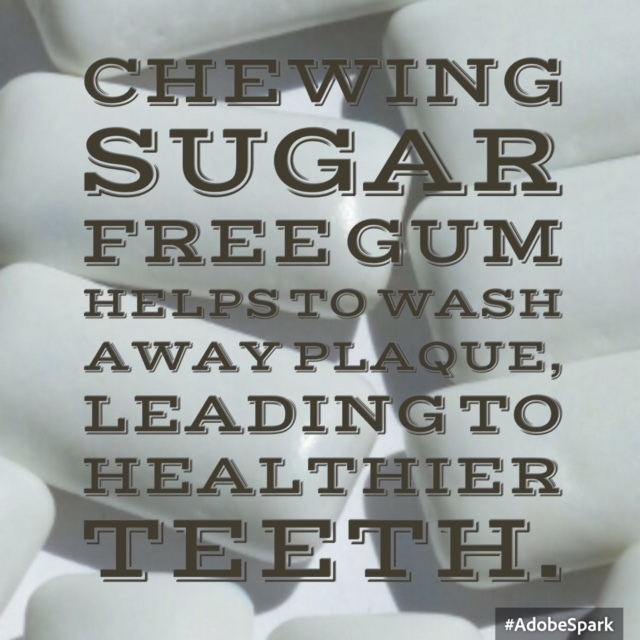 It’s even more crucial to brush after you consume sugar. Whenever you eat or drink something sweet, make sure you brush your teeth right when you’re finished. However, if whatever you have is acidic– wait at least a half hour before brushing or flossing. Let fluoride do the work for you. According to The American Dental Association, you should be using an ADA-approved fluoride toothpaste. 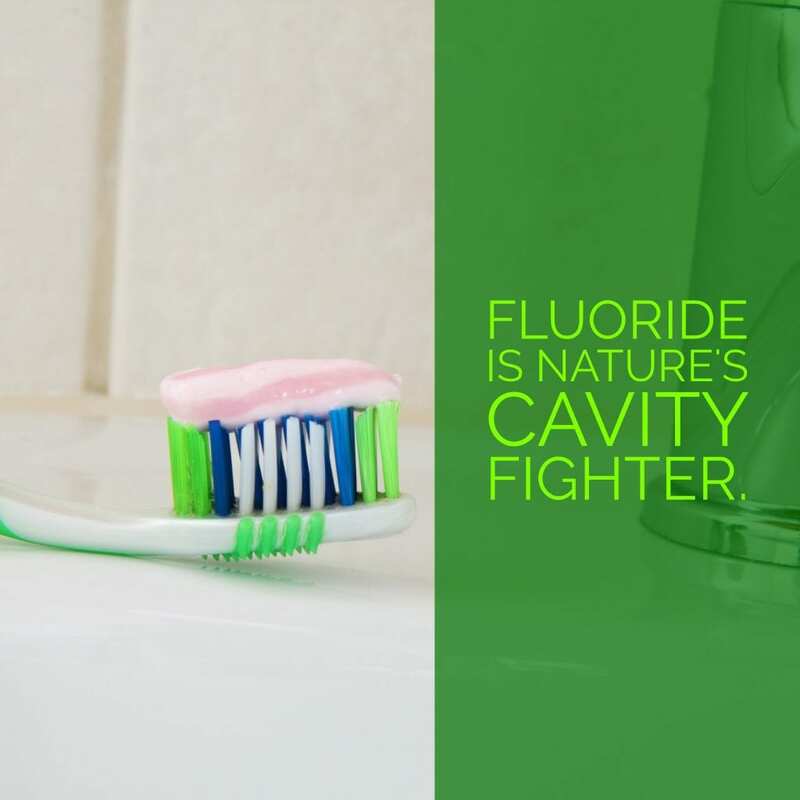 Fluoride is a mineral that has been proven to not only prevent tooth decay caused by too much sugar, but also reverses it in its early stages. The ADA also recommends professional fluoride treatments from a dentist. In addition, you should try and introduce tap water into your routine. Fluoride is added to your tap water source and it doesn’t affect the appearance, smell or taste of your drinking water, but it does give you the benefit of helping to prevent cavities. 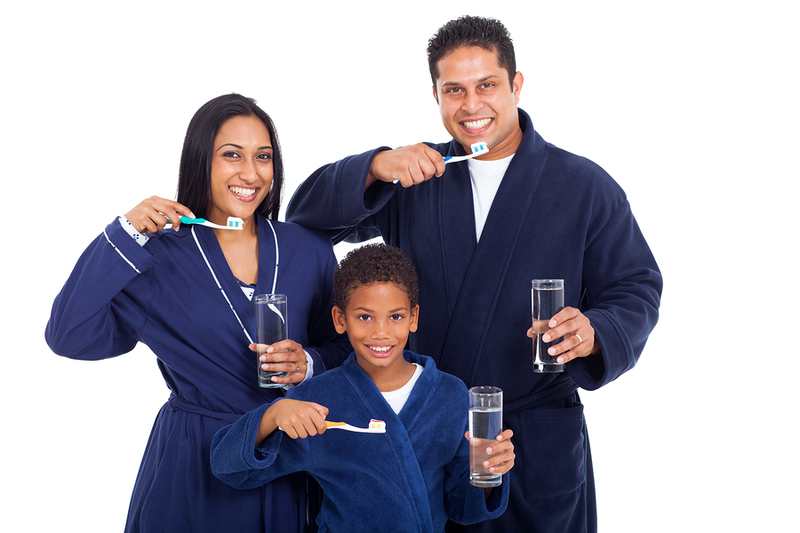 Finally, rinse your brush off before you add your toothpaste to avoid washing away the added fluoride. 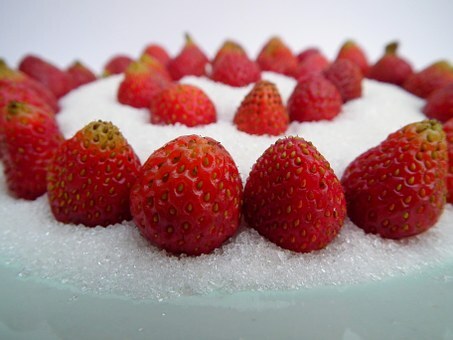 Vigilance is the key to preventing the negative effects of sugar on your teeth. Limit your sugar intake, and always brush after eating anything with a high sugar content. Choose healthy foods and drinks that strengthen, instead of damage your teeth. 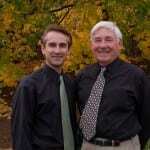 Include regular appointments to see us and you’ll keep your teeth healthy and strong for a lifetime.